Breaking Bad is one of my favourite TV shows ever. I don't mind admitting that I hated it at first, and insisted I would never watch it ever again! However, I soon came round and lost several weekends whilst we caught up. It's been off our screens for months, but this week it's finally back for the grand finale. To celebrate, I decided to make a Breaking Bad Bundt. It had to be blue (of course) but I decided on a nice raspberry flavour, after a lengthy conversation with my friend Dave about ice pops and Slush Puppies. I used little blue sweets as a replacement for the crystal meth (I believe this is rather moreish and isn't great for the pegs...) and dyed everything in sight blue with gel food colours. I made my floating eyeball out of a jawbreaker, and added a layer of jam to make the cake moist and tasty. I got all my decorations from my local sweet shop. The lady serving me sweetly asked 'is it for a little boy? ', to which I cack-handedly explained that the sweets were supposed to look like crystal meth. I get the feeling she didn't wholly approve. 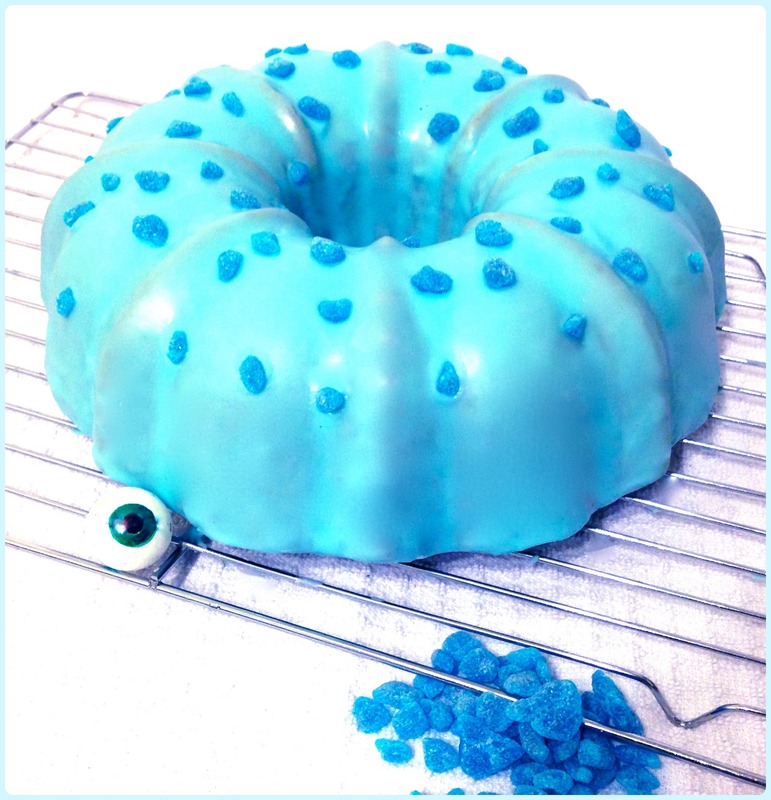 The cake itself was very simple, and can of course be made without so much blue! To make it blue: Food colouring, icing sugar and sweets if desired. Pour the yogurt into a jug (add the food colouring at this stage if you're colouring the cake). Sift in a third of the flour mix followed by half the yogurt. Repeat this until everything is combined. Don't over mix. Dollop the jam on top of the mix and spread around, avoiding the sides. Serve either plain or with a dredging of icing sugar. Or with lots of blue if you wish. Haha it's just a bit of fun! I couldn't resist! Brilliant, brilliant, brilliant! 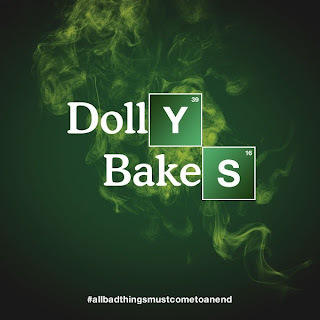 I was late into the Breaking Bad game - we played major catch up and watched all four series over a matter of weeks last year and I am so excited it's back today! Love it, love it! :) I love this cake, I want a big slice of it RIGHT NOW!!! LOL! Telling the sweet shop lady that the sweets were supposed to look like crystal meth! Oh to be a fly on that wall, hahahaha! I LOVE this post. I am a big fan of Breaking Bad too :) and this cake looks like the perfect accompaniment to the final series. Love the use of the sweets. Excellent! This is a fantastic bundt. It is so unique and original. 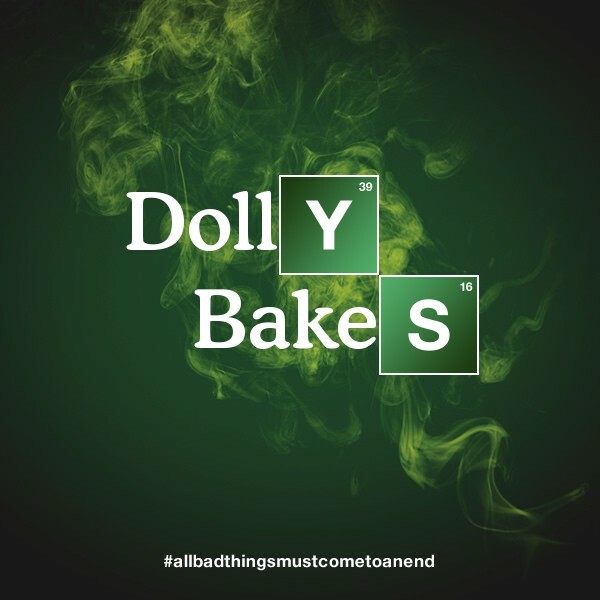 I'm a huge fan of Breaking Bad too and it made me smile about the sweet shop trip!